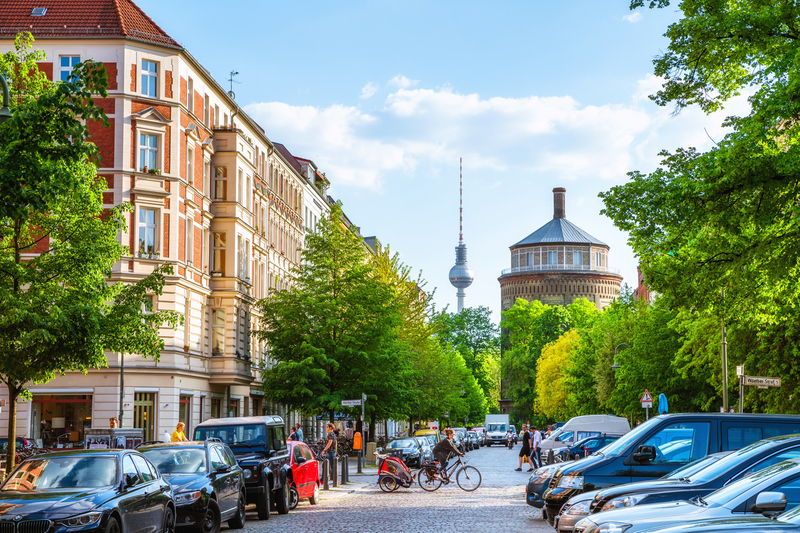 Berlin’s growing food scene has made way for international cuisine from all over the world, so if you want a change from traditional German food (and the much-loved currywurst! ), you’ll be spoilt for choice. From Korean to Mexican, this cosmopolitan city is a great place for foodies to explore. 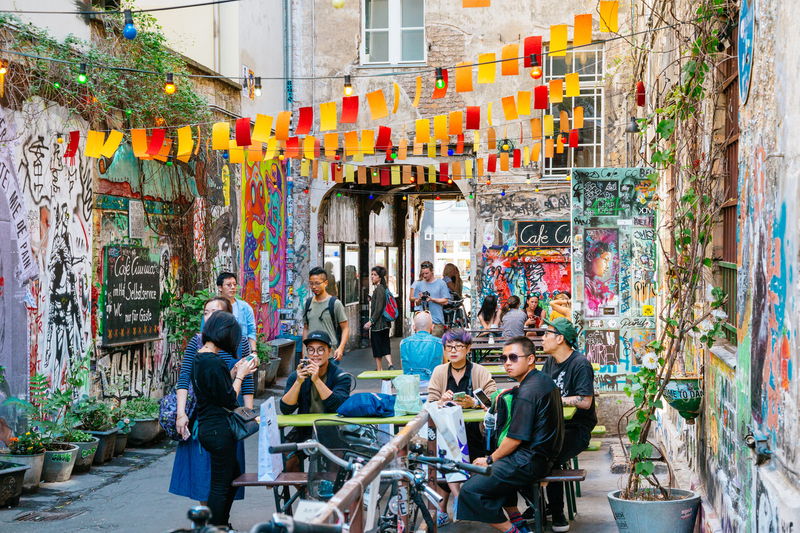 And when it comes to coffee, brunch and cocktails, Berlin offers a winning selection of cool places to hang out. So, whether you’re after a quick bite for lunch, or a sociable setting to eat dinner with friends, here are some of our recommendations around the city. One of Berlin’s premier coffee houses, Bonanza Coffee opened its doors in 2006 on Oderberger Straße. Purveyors of third-wave-coffee, they pride themselves on quality coffee beans, ethical trading and a minimal roasting process that results in a pure and clean tasting product. With a rustic, industrial-style décor, the café is small but welcoming. You can buy the coffee beans to take home or enjoy in the café (there is also a newer, much larger branch in Kreuzberg). Visit on a Sunday and you can hop over to the famous flee market in Mauer Park. Serving up authentic Lebanese food, Babel is on the border of Prenzlauer Berg and Mitte on Kastanienalle. Expect the classics here: falafel, hummus, grilled halloumi, spiced lamb, fresh salads, plus wholesome sharing platters. Sweet, spicy and smokey flavours are a theme at Babel, and both the food and drink offering is vast. Visit for a casual lunch or dinner with friends and enjoy the sociable outdoor seating arrangement. Fancy Mexican food in Berlin? Tucked away on Danziger Straße, Maria Bonita is home to some of the best Mexican food in the city. A firm favourite with locals and tourists since 2009, it’s the perfect spot for a quick bite to eat. There is limited seating, so it’s always a good option for take-out. From tacos to burritos, the menu features tasty grilled meats, handmade salsas and even Margaritas! They offer weekly specials too, so you never know what surprises they have in store. 100% worth a visit. With communal seating and a cosy atmosphere, Kimchi Princess is a contemporary and affordable Korean restaurant. Dinners feature marinated steak, miso fish soup, spicy fried chicken and kimchi pancakes to name a few – while the traditional Korean BBQ is prepared on the table with a selection of side dishes. They have great vegetarian and vegan options too, and a speedy lunch menu from midday until 5pm. Don’t be put off by this burger joint’s location, once a public toilet on Oberbaumstraße beneath the tracks of the U1 metro. Everyone in Berlin knows about this place, and it’s open until the early hours of the morning for those post-night out cravings. The simple menu features comforting classics: hamburgers, cheeseburgers and the unmistakeable Meisterburger (fried onions, mustard, bacon and BBQ sauce). This is no frills fast food that is all about great quality – with a pretty unique story to tell. 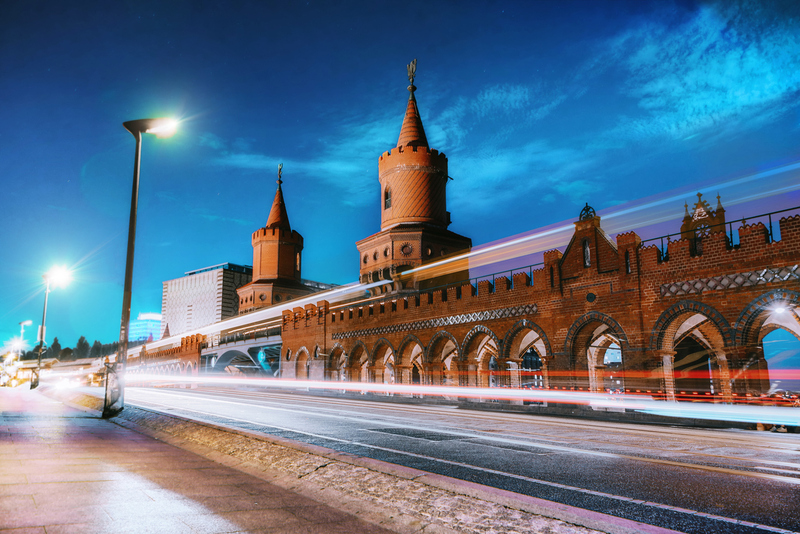 Berlin’s original street food party! Founded by Miranda Zahedieh and Tommy Tannock, this street food venue is made up of shipping containers that sell all manner of cuisine with a scenic Spreeside location. Events take place monthly, so it worth checking out their event calendar. From burgers to jerk chicken, there is something for everyone to indulge in with alternating vendors. Bite Club even cater to events, office parties and exhibitions buy providing a mobile service of food and drink trucks. Sweet tooth? Make sure Princess Cheesecake is on your to-do list in Mitte. Centrally located on Tucholskystraße, this attractive and well-established café serves up a selection of moreish cheesecakes and desserts in a multitude of flavours. Grab a coffee and sample a generous slice of heaven! Berlin’s Michelin-starred restaurant on Auguststraße is the perfect place for a dinner date or special occasion. And you’ll be swooning over the plush emerald green 60s décor too! Serving modern German dishes with a focus on unusual flavour combinations, you will be in for a gastronomic treat. The main menu features oysters, scallops and crayfish, while the bar menu has a selection of light snacks and aperitifs’. Opened in 2014 on Johannisstraße, just off the bustling Friedrichstrasse, House of Small Wonder follows in the footsteps of its Brooklyn sister branch. With Japanese interior influences, plants and foliage, and locally sourced ingredients, the space feels bright and welcoming. Try their homemade breads and pastries baked throughout the day, as well as selection of brunch and Japanese dishes. There’s a good choice of coffees, iced drinks and juices too.